A few quick things, first off last November I told those who read this blog that I had attempted to post a video Review and Outlook, but due to a cold I was unable to do it successfully. I've been trying over and over to do these videos successfully and finally managed to produce three that I like and hopefully you do too. 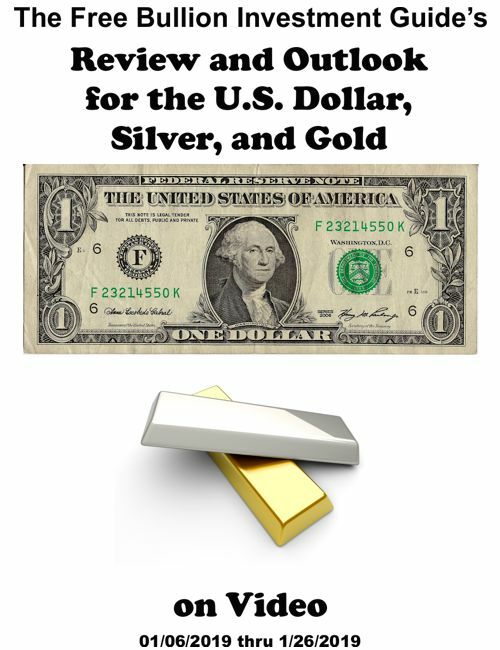 There are separate videos for each asset; the U.S. Dollar, Silver, and Gold. In each video, I've stated that I will make a follow-up video when the patterns are broken or new pattern takes shape, so I'm not sure yet as to how I'm going to manage these blog posts, but I will try to make the transition as easy to figure out as possible. Anyways, the videos aren't perfect, but they are some of my first, so, please excuse my mess-ups, and I hope to get better as I do more.